The most common legumes are the beans and the peas. Preserving these garden legumes ensures you can enjoy the harvest even in winter when fresh vegetables are no longer available. Freezing and drying are two preservation methods that require no special equipment and only a small time investment. Generally, green beans and tender peas are frozen, while shelling beans are stored dried. Green or field peas can be stored either frozen or dried depending on your preference and storage needs. Harvest snap beans when the pods are firm but still tender. Harvest green peas when the pods are still green and tender but the peas inside are fully developed. Harvest edible pod peas, such as snow peas, when the pods are green and firm but before the seeds begin developing inside. Prepare the legumes for freezing. Remove green peas from the pod. Split the pod open with your finger and remove the peas from inside. Wash snap beans and pod peas then remove the fibrous ends and the strings from the pod if necessary. Bring a pot of water to a boil. Add the prepared legumes and boil for two minutes. Remove the legumes from the boiling water and plunge them into a bowl of ice water so the cooking process stops. Drain the legumes in a colander then blot them dry with a paper towel. 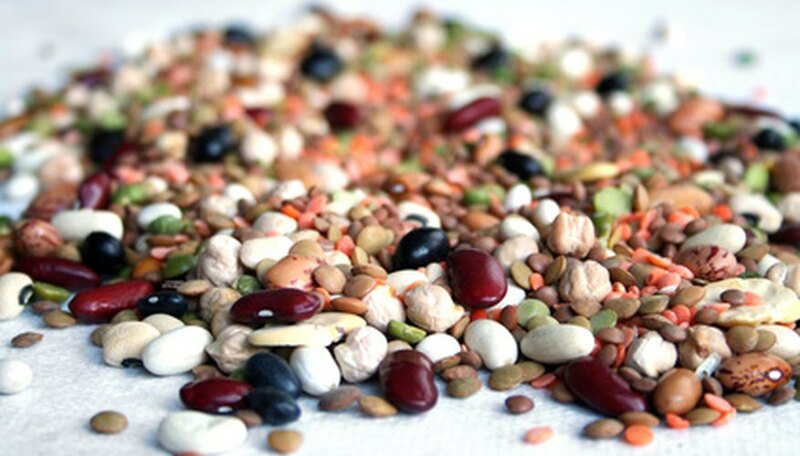 Place the legumes in a sealed plastic bag or freezer container and place them immediately in the freezer. Use in any recipe that calls for fresh or frozen vegetables. Leave the pods on the legume vines until they dry out and begin to turn brown or yellow. Pick the pods once the beans inside rattle when you shake the vine. Spread the pods out on a layer of newspaper in a warm dry room. Leave the pods to dry for an additional two weeks. Split the pods open and remove the beans and peas. Discard any that are shriveled or damaged. Place the dried legumes in a sealed plastic bag or container. Store in a cool, dry place until you are ready to use them. Soak dried beans in water overnight the day before you plan to cook them. This softens the beans and reduces the cooking time.